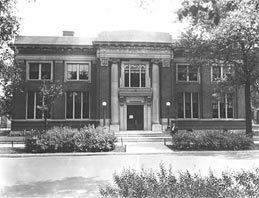 The Hiram Kelly Branch Library, at 6151 South Normal Avenue (northeast corner of 61st Place and Normal), was just one block south from home (61st and Normal Boulevard). The library was built in 1910. Kelly, a civic-minded philanthropist, bequeathed $200,000 to the Chicago Public Library's Board of Directors to be used for any purpose involving the library. After Kelly's death in 1889, the Board of Directors used the bequest to purchase a site at 61st Street and Normal Boulevard. 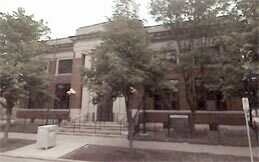 It was on this site the Hiram Kelly Branch, the library's second free-standing branch building, was constructed. The building was renovated in 1988-1989, and now consists of 15,000 square feet and a meeting room seating 150.